I know everyone says 'it only seems like yesterday', but honestly it only seems like a minute ago Nila was born. 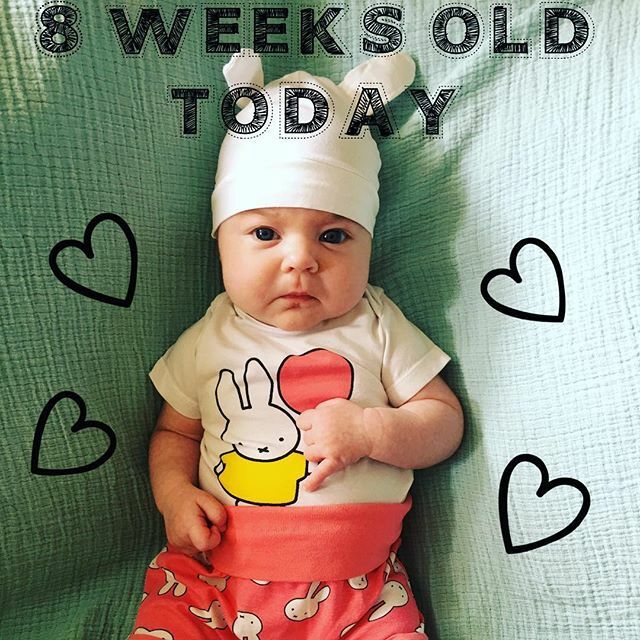 We are celebrating her being 8 weeks today,a whole 2 months old!. It has flown by quicker than lightning, please slow down baby girl. All the emotions have been flooding through me today. She is such a bright little bundle of joy, the biggest Diva i have ever know, especially around the hours of 7-9p,still trying to figure out why. She brings us all so much joy but she is growing up way to fast,am i exaggerating?. Our eldest daughter is now 14 and has been at her summer job today, so i know oh so well how time flies and before you know it , they want to spread their wings and fly. Maybe because Nila is our last child i could be feeling a little bit more fragile, and having the baby blues added into the mix probably doesn't help. I want to remember every little moment and all her silly little ways.So here is the first, i am currently in bed typing this and she is kicking away at her covers,she hates covers, whether she is asleep or awake, if you put a cover on her she is kicking it off! Cuddles, she loves her cuddles,sometimes if she is upset or having one of her diva moments, they happen often, a cuddle is all she wants. I do sometimes wish she would give me 5 minutes to have a cup of tea, or even breathe! and frustration kicks in, then when she looks at me with them beautiful blue eyes and gorgeous smile, all the mum guilt for being frustrated knocks me like a ton of bricks and instantly melts my heart. She has definitely completed our family, although if you ask Scott, he still wants to try for a boy, and if you ask the girls they want pugs each, hey, you can't win them all right? 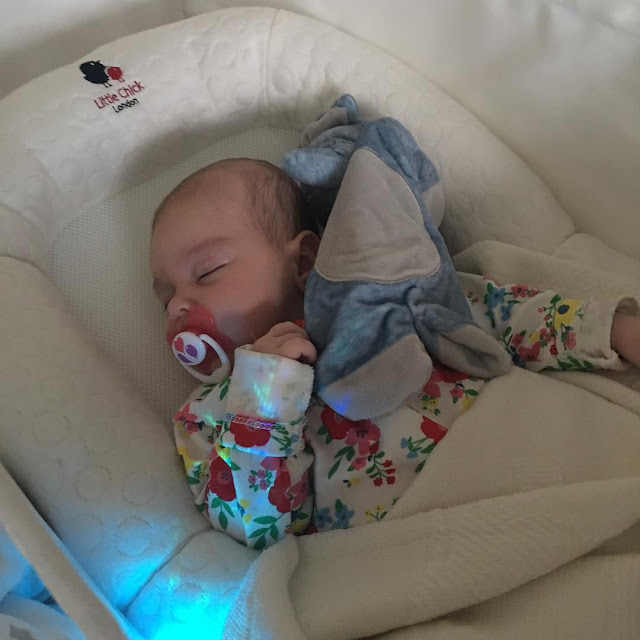 Happy 2 months Nila,lets put the kettle on, make mummy a nice,hot, cup of tea, get your bottle warmed up and have some snuggles.Goodnight. Ah she is so adorable! The last baby is always an emotional one, I feel the same about mine. My eldest is 13 and youngest is 3 and I want to cherish every moment whilst he is still young! Aww how cute! I know what you mean about feeling like they're growing up too fast. My 14 month old seems to have found his independence over night. It seems like only yesterday that he was this age! Happy 2 months Nila. She is so cute. Enjoy the moment, they grow so quickly. This made me feel so broody and realise my baby boy may not actually be a baby anymore! She looks so bright!